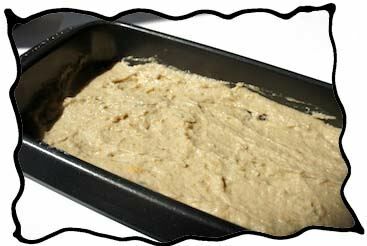 Applesauce Cake Recipe - True Home-Sweet-Home Delight - Ready In 50-60 Minutes! This cake is a perfect start for beginner bakers, a homemade treat which is always a success. The spices (cinnamon and cloves) can be either replaced, with vanilla, for example, or excluded according to your taste. 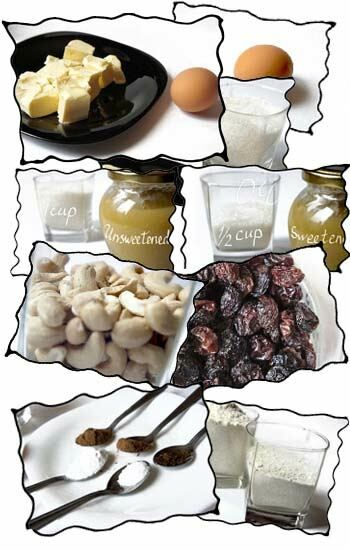 Raisins can also me replaced with dried apricots and prunes cut in pieces, dried cherries and cranberries. Actually you may use any combination of those! It will make a certain digression from a classical recipe, but who knows maybe you will invent The Very That Your Own Recipe. What Makes Applesauce Cake So Tempting? Preheat oven to 350°F (175°C). Grease and flour square baking pan and set aside. 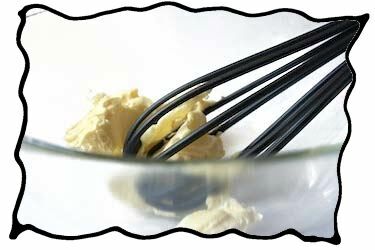 Let the butter soften at room temperature and then beat it with a whisk. Fold in applesauce, cinnamon and gloves. 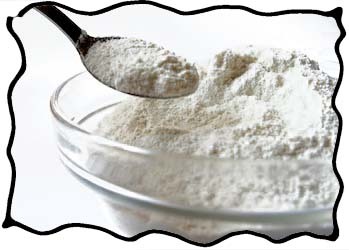 Mix the dry ingredients together: flour, salt, soda and sugar. 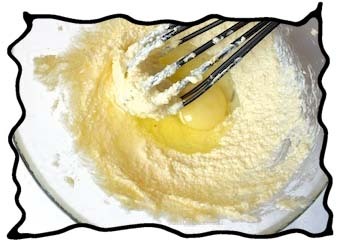 And combine them with the egg-butter mixture. 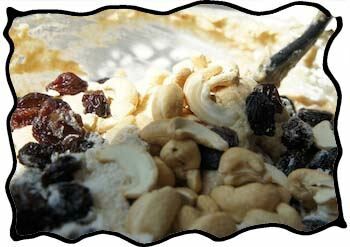 Adding nuts and raisins! Mmm! This is my favorite part! Just try and you'll understand my delight! You may check if the cake is ready with a touch: the cake should spring back or with a toothpick: it should come out clean. 45 minutes later. Oh, dear!!! 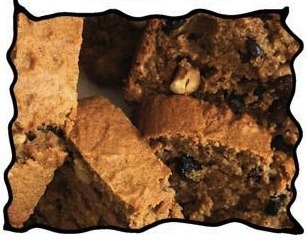 I just love that cracked crust with raisins peeking out! I can probably sit and watch it for hours, isn't it beautiful? And the moment of discovering rich raisins and nuts filling is second to none! Baking is not only about playing with flour, butter and sugar, you know. Add some music power to your cake magic - watch the video below for true applesauce cake inspiration! You may also wonder about some baking traditions and like the story to be served together with the cake. Music by The Waltons, Mama's Applesauce Cake. 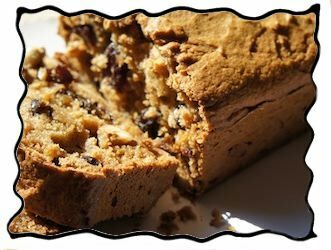 Applesauce cake is more a convenience food than a sophisticated bakery masterpiece, often associated with coziness, home and family. It is usually a taste remembered as Mom's or Grandma's baking masterpiece. For Jason Walton probably the memory about childish apple delight once has become so strong and inspiring that he created his famous Mama's Applesauce cake song. The history of the cake recipe dates back to the World War I times when it was justified by scarce resources and economy. 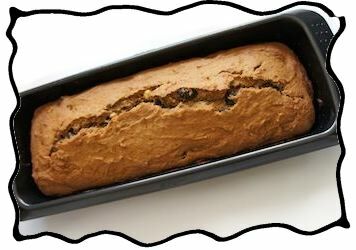 Later the cake was innovated with raisins, dried fruits, nuts, oatmeal, brown sugar, chocolate and other healthy ideas throughout the 20th century. 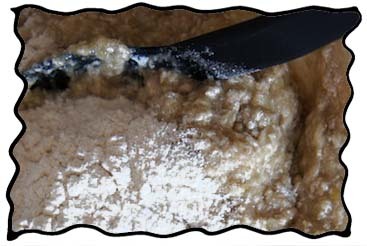 Applesauce is a pretty ancient invention by itself, appeared in the Medieval Times, a cake is even more ancient. Food historians say the two met only in the 19-20th century. Weird enough? In US the cake has it's own day celebrated on June 6. 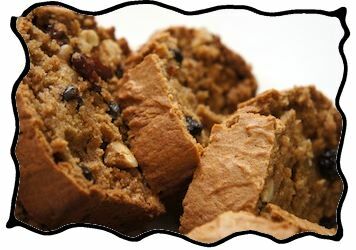 Traditionally the cake is served with one of fruit-and-nuts combinations, like walnut halves and orange peels, or almonds and dried cranberries or any other of the baker’s choice. And the second option is white cream frosting. In Russia a special tradition of making applesauce and apple cake is connected with Apple Savior tradition celebrated on August 19. The day is also known as day of greeting the autumn and a reminder of necessity of mental transformation. The origin of the tradition is so ancient that historians suppose it has appeared before Christ. One of the main celebration rituals is making apple pies and applesauce, giving them to relatives and friends, going out singing, watching the sunset in the field and saying good-bye to the summer season. Jason Walton probably knew nothing about Apple Saviour in Russia when he composed his song, so he easily escaped that light touch of Russian sadness and made the song completely positive and inspirational for creating a perfect homemade delight. Enjoy yourselves! Liked this page? Be kind: share with your friends! 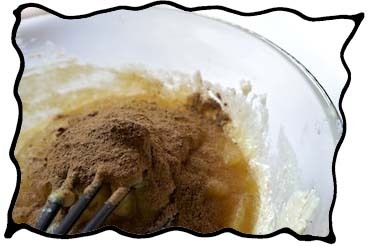 What is a good serving suggestion for applesauce cake? For a beautiful serving suggestion you may use nuts and dried fruits, cream cheese or another kind of white cream or serve the cake with applesauce in a separate bowl. 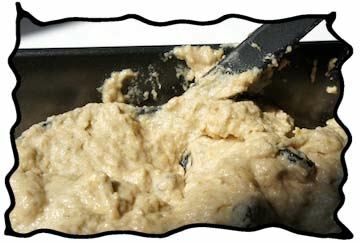 By the way, do you know when is the best day to make applesauce cake? Discover From Cake Calendar! Got A Question? Feel Free To Ask In A Comment Below!